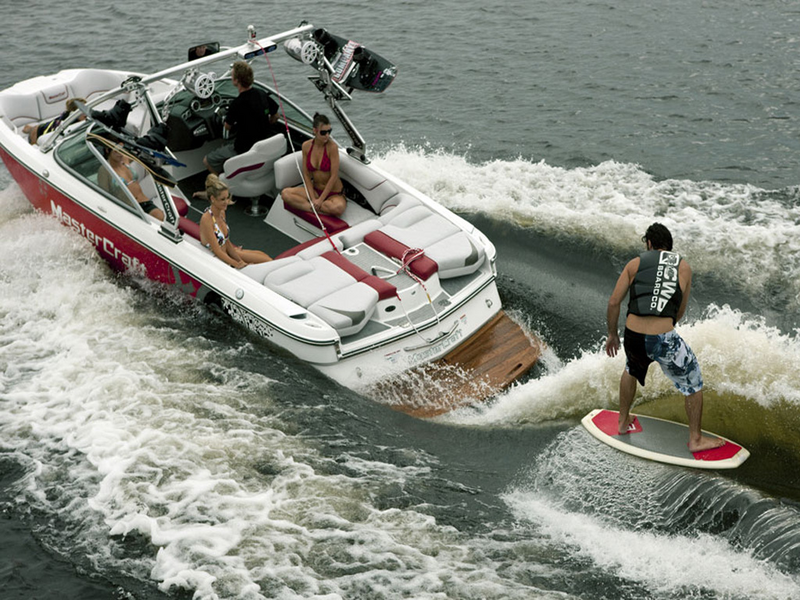 Enjoy the best in luxury Big Stone Lake boat rentals, jet ski, water sports, and watercraft services on the water. This is a long, narrow freshwater lake and reservoir forming the border between western Minnesota and northeastern South Dakota. The lake covers 12,600 acres of surface area, stretching 26 miles from end to end and averaging around 1 mile wide, making this the perfect destination to enjoy water skiing, wakeboarding, tubing, and all the other water sports available from Invert Sports. Two state parks are located at the lake: Big Stone Lake State Park in Minnesota and Hartford Beach State Park in South Dakota. The two parks provide picnic, camping, boat launching, trail, and camping facilities. An educational center at the lake is part of the Minnesota state park offering nice information about the lake and area. Several vacation resorts are located along the shores of Big Stone Lake as well to enjoy a long weekend with all the right MasterCraft boats and Yamaha waverunners. Visitors are attracted to the lake especially for its fishing: walleye, northern pike, and bluegills are all popular game fish with anglers, and the lake contains over 30 other species. Servicing all marinas on the water some of which include; Schmidt's Landing Resort and Three Lakes Seaplane Marina.